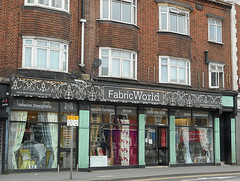 Interior design, soft furnishings, and fabric shop on Brighton Road. It has another branch in Epsom. Last edited 2017-10-09 09:22:49 (version 11; diff). List all versions. Page last edited 2017-10-09 09:22:49 (version 11).